I am not the first Ingush who has consciously and deliberately chosen to live outside his homeland, and I don’t think I will be the last. After being accepted by a Scandinavian country and sent to a refugee camp there, I found myself in a rather unusual situation. The refugee camp proved to be a former World War II prisoner of war camp. From the end of the war until 2001 it was used as a military base. Nowadays it houses, in relative comfort, asylum seekers from abroad: more than 15,000 have entered the country since the start of the present year. The camp consists of several blocks of living quarters, administrative buildings and countless hangars and storage facilities left over from the war. Life in the refugee camp was somewhere between a spell in some Caucasian sanatorium (the natural surroundings and living conditions here are certainly no worse) and the circumstances of an average Soviet pioneer camp, with its ersatz food and frugal choice of entertainment: volleyball, soccer and conflicts between the inmates, which often ended in a brawl. In the camp there was often deadly boredom. If the Arabs spent the whole day imperturbably sipping coffee and smoking in the shade of the trees, and the Somalis meditated for hours to the sound of their native melodies, the refugees from the former Soviet Union were in painful search of adventure. Melancholy is definitely not in our nature. During one of my routine wanderings around the camp, in one of the hangars I encountered an elderly man who was cleaning the old paint and rust from an ancient cannon. For want of anything better to do, I decided to help him. With the help of a modest stock of English words I managed to convince him that my intentions were innocent and disinterested. Mikail (that was the man’s name) turned out to be was a retired military officer with the rank of major, a custodian at the artillery museum located right here in the camp grounds. At first sight, the heap of rusty old iron did not look like a probable candidate for resuscitation. An instant decision was made – we must assemble a team of restorers. By the grace of the Almighty, it so happened that among the representatives of the former Soviet Union in the camp there were specialists in the field. All the restorers were volunteers, and they set to work without any thought of self-interest. Khamzat was a young lad from Chechnya. 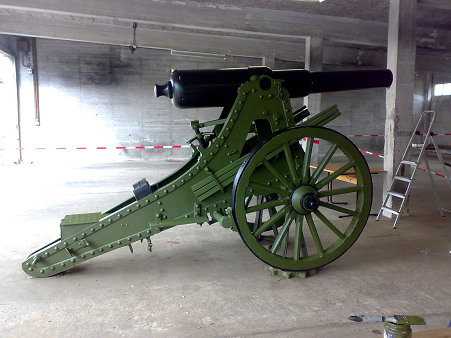 At times we felt he must have been assigned to us by the country’s Ministry of Defence, rather than to help with the restoration of an artillery museum exhibit. Dilshot was an artist from Uzbekistan, an elderly man who pined for the days of the Soviet Union. Murad from Ingushetia and Islam from Tajikistan were athletes, with a reserve of strength and endurance that would be the envy of any conveyor-belt robot. Valera was from Belarus – a locksmith and auto mechanic, small of stature, taciturn, but very lively. 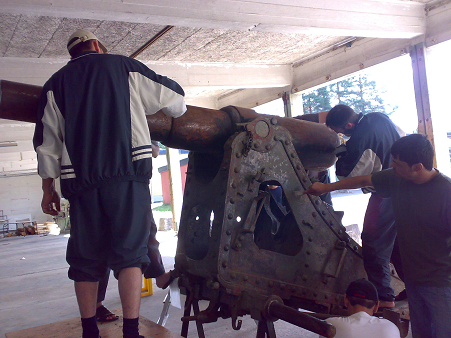 Yura, a carpenter from Russia, fixed the cannon's wheels and other wooden parts. Almost a week later, we were joined by a refugee from Asia, who looked Chinese or Korean. We called him Dee. That wasn’t his real name, but none of us could pronounce it, so he offered us the least complicated option. Dee was a member of a tank unit who had escaped from North Korea. I was the organizer and interpreter. On our very first day of work a boy of twelve came sidling up to us on his bicycle. He was a Chechen. He wanted to know the cannon’s weight and what metal it was cast from. On obtaining this information, he asked us in businesslike tones if we wanted to hand it in at the reception point. 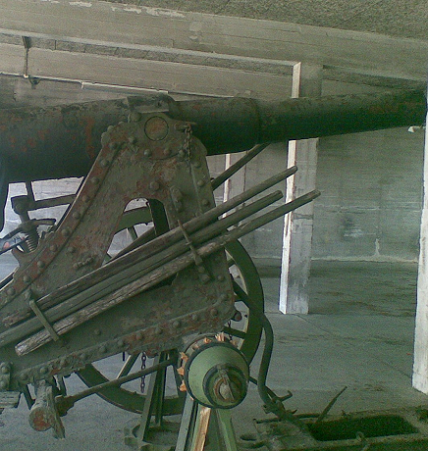 It turned out that all the local villages had rusting monsters similar to our cannon. 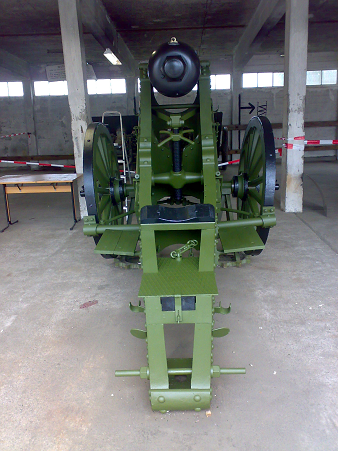 The most recent order had been a U.S.-manufactured self-propelled artillery piece from World War II. 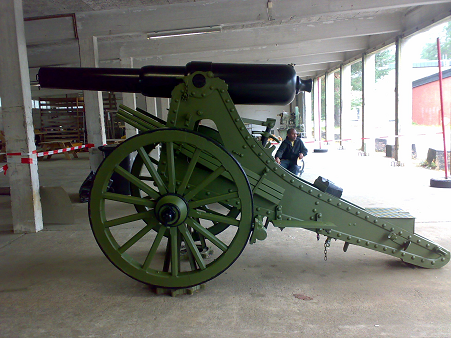 But there was a waiting list – ahead of us in the queue were two cannons dating from 1919, and so we must politely turn down any unauthorized requests. When there were only a few days left until our work was complete, the local journalists began to take an interest in us. After that, the number of volunteers began to increase exponentially. One day the camp director came to see us together with a very imposing-looking man. This, it transpired, was the deputy head of the local council. We humbly asked him to provide us with additional tools and supplies. Now we would have to wait. But if they didn’t bring us the extra tools, it wouldn’t be the end of the world: we had the inclination and the time, and we would continue the work. Most of the refugees in the camp wondered why on earth we were working at all. We looked at it on the bright side: maybe we would get asylum, or at least some money. 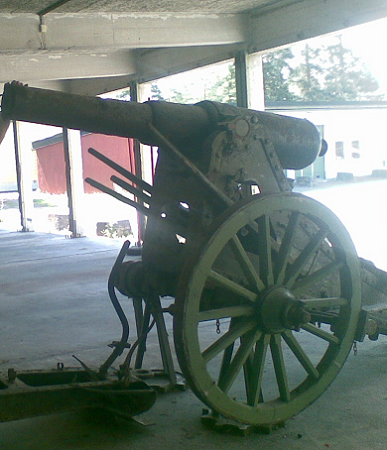 After the morning's ersatz-ration in the camp dining room, our cannon once again awaited us.